Fat Cats is the jazz and blues club on Norwegian Breakaway. However, unlike most other cruise ship bars, guests do not go there to have a drink. While they often have a drink while they are there, the reason that guests go there is to see Slam Allen perform. 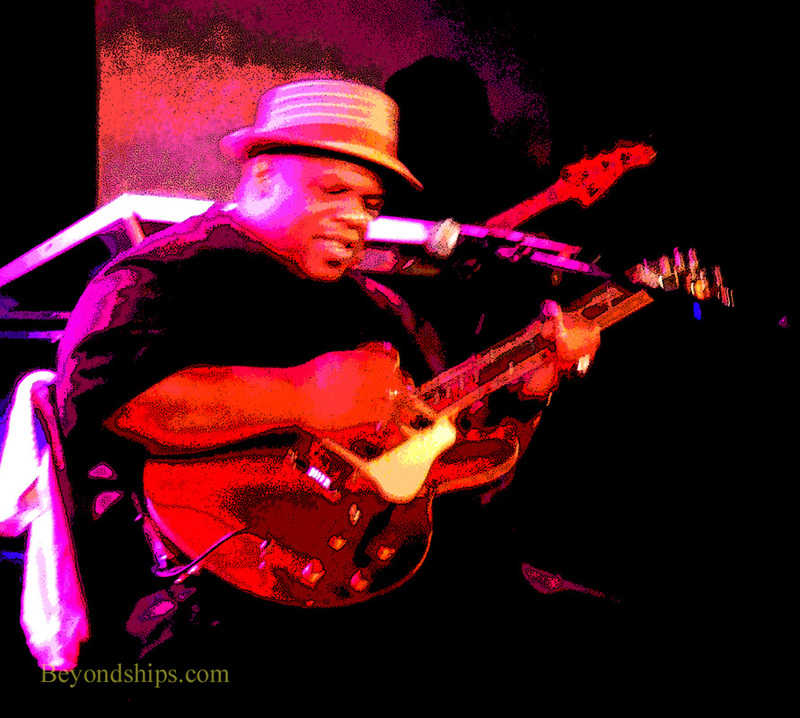 Supported by a bass player, drums and an organ, six nights a week Allen plays the guitar and sings the blues in Fat Cats. 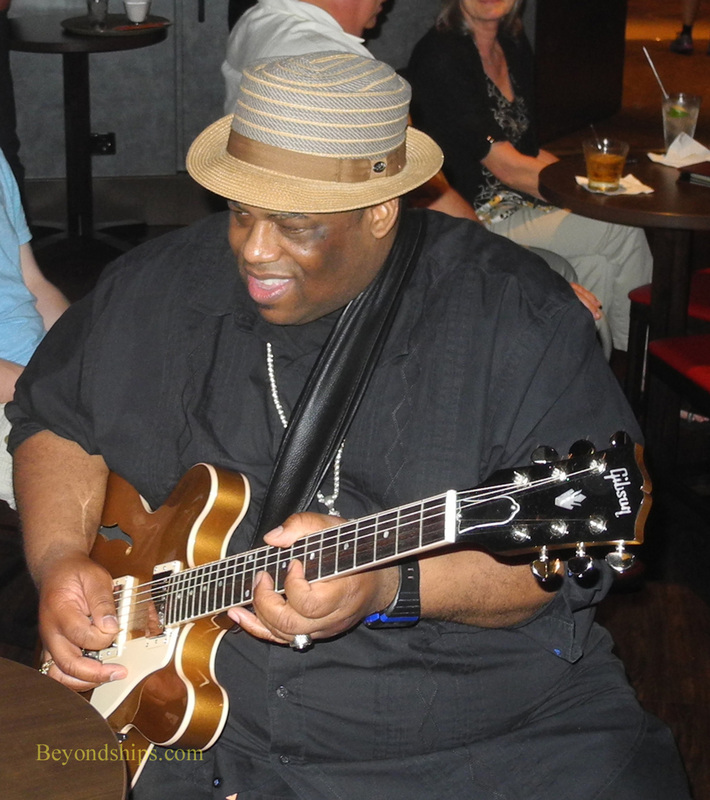 He plays both original compositions and his interpretations of the songs of the old blues masters with a little R&B and rock thrown in. However, beyond his considerable musical abilities, Allen has the type of personality that makes an entertainer a star. Consequently, he has developed a considerable following, first on Norwegian Epic and now on Norwegian Breakaway. During a set, Allen often leaves the stage and mixes with the audience.